Sip away the heat with homemade iced coffee! Get a jump on the heat by cooling off with homemade iced coffee! 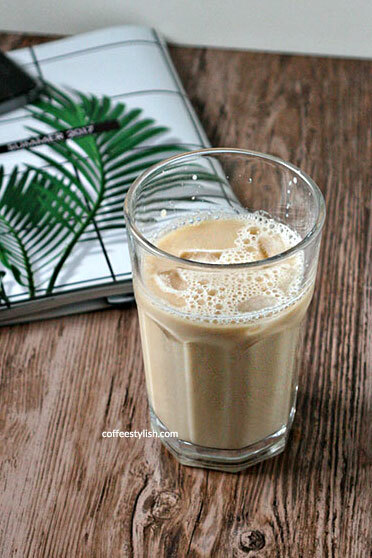 No matter what your level of experience is, or what equipment you have at home (drip machine, French press or even Keurig), you can make heavenly iced coffee at home. I have a recipe that works every time, it doesn’t require any extra work (like making coffee ice cubes) and the coffee is always freshly brewed. Making your own iced coffee is a great thing to do for so many reasons. First of all, homemade coffee has significantly less sugar than the stuff we order at Starbucks so it’s a much healthier option. It will also save you a ton of money and time! I did some math and it turns out, one 8 ounce iced coffee will cost less than $0.50 if you’re using any regular coffee, or around $0.80 if you use specialty coffee. Now, I know that 16 oz iced coffees is really popular at coffee shops, but that’s because they’re mostly ice. Homemade coffee has very little ice so you don’t really need more than 8 ounces. If you want, you can double the ratio and make 16 ounces. Even if you make two servings, your 16 oz iced coffee will cost from $1.00, to $1.60 if you use high-quality coffee! My favorite part – you can drink your coffee when you want it, in your pajamas or you can fill up a tumbler and you’re ready to go! You’ll have your coffee ready in just a few minutes. I do prefer freshly brewed iced coffee, because well…it’s freshly brewed, but homemade cold brew concentrate is delicious too. Cold-brewed coffee is sweeter and smoother than regular coffee, which is why it became so popular. It also has a lower acidity level and no bitterness. Here’s how to make cold brew concentrate at home. Add 1-2 tablespoons sweetened condensed milk and a splash of half and half, and you’ll have sweet homemade Vietnamese coffee. Add a heaping tablespoon of dulce de leche! My favorite way to drink iced coffee. 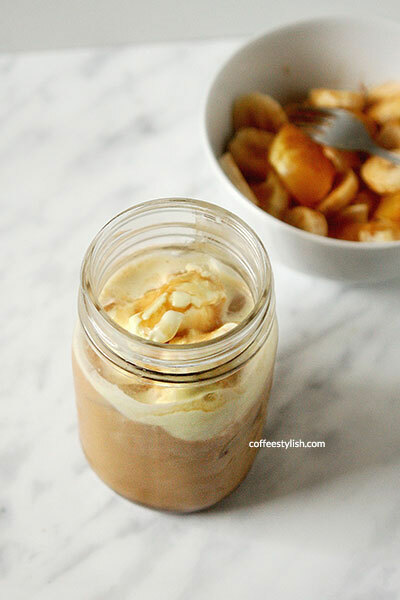 You must also try this iced coffee float. YUM. And that’s it – you’re ready for the summer. Have fun!